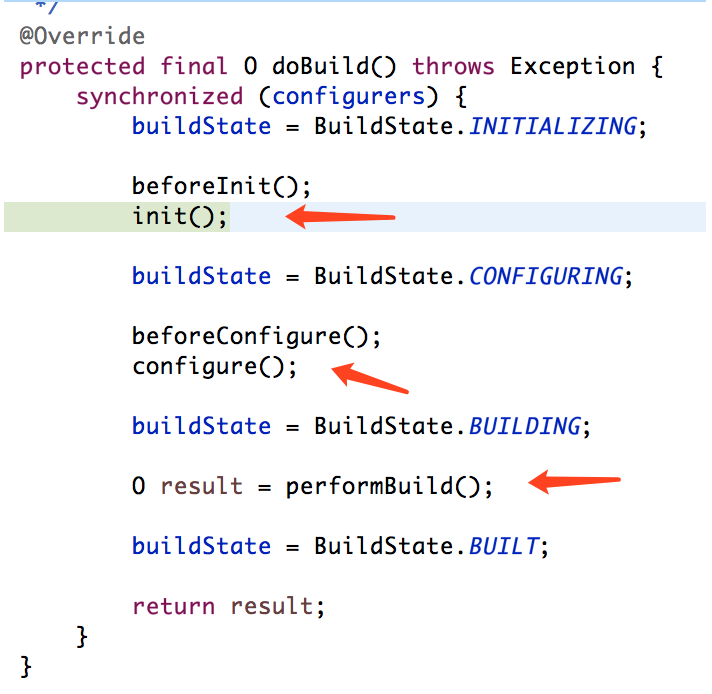 * Controls debugging support for Spring Security. Default is false. 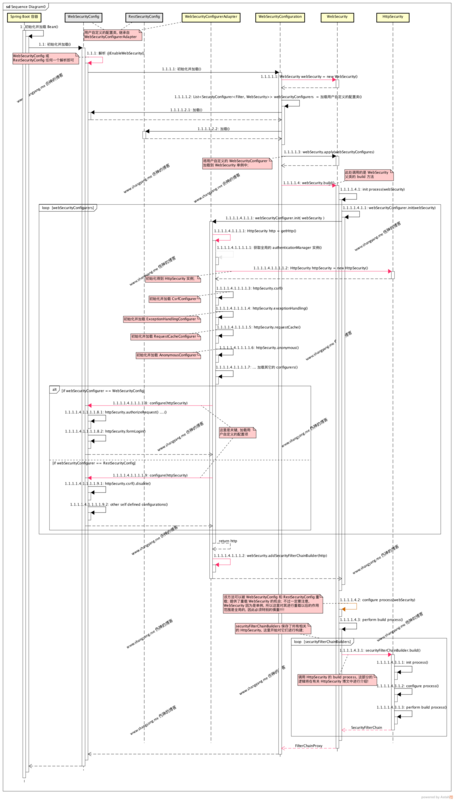 Uses a WebSecurity to create the FilterChainProxy that performs the web based security for Spring Security. It then exports the necessary beans. Customizations can be made to WebSecurity by extending WebSecurityConfigurerAdapter and exposing it as a Configuration or implementing WebSecurityConfigurer and exposing it as a Configuration. 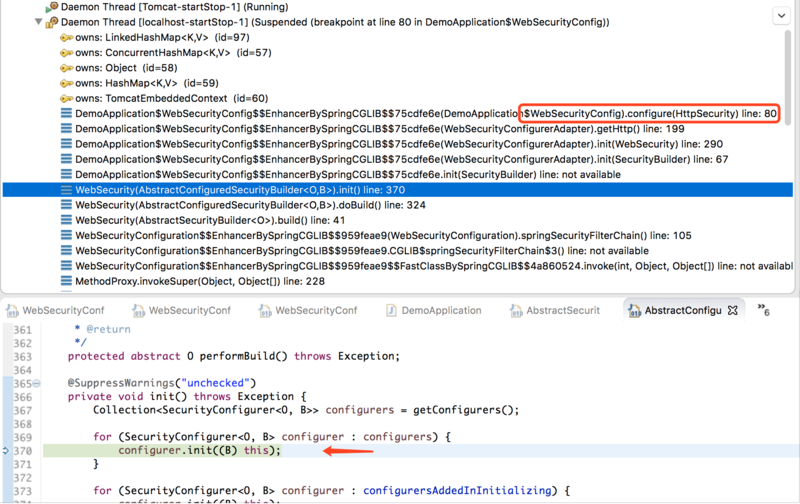 This configuration is imported when using EnableWebSecurity. 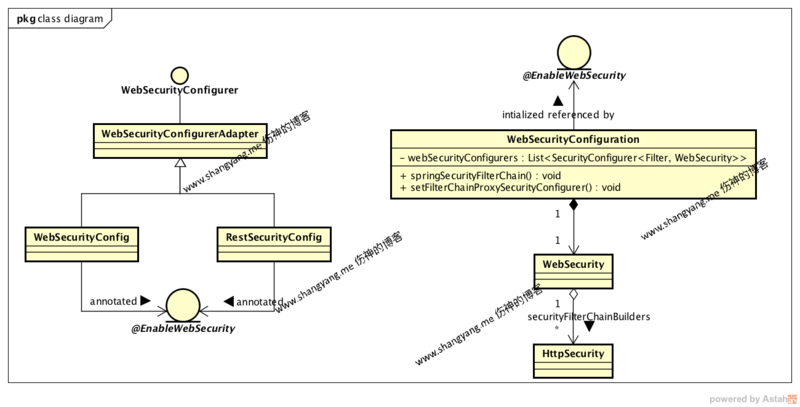 The WebSecurity is created by WebSecurityConfiguration to create the FilterChainProxy known as the Spring Security Filter Chain (springSecurityFilterChain). 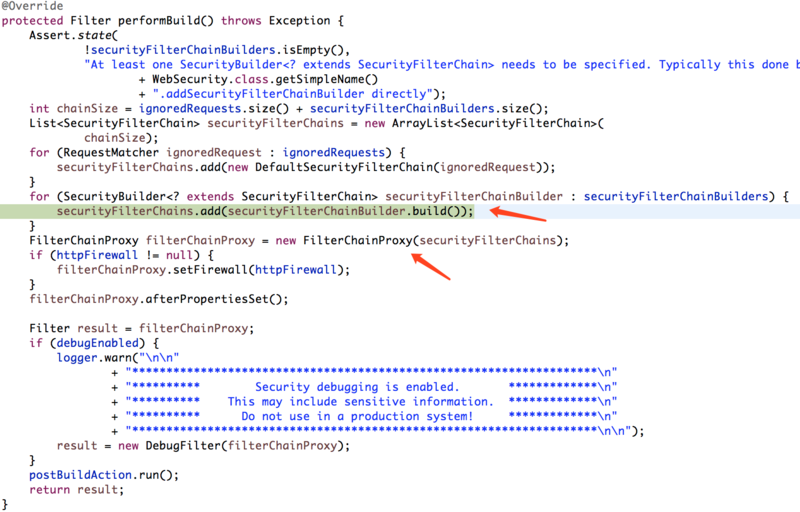 The springSecurityFilterChain is the Filter that the DelegatingFilterProxy delegates to. Customizations to the WebSecurity can be made by creating a WebSecurityConfigurer or more likely by overriding WebSecurityConfigurerAdapter. - Builds the object and returns it or null. - @return the Object to be built or null if the implementation allows it. "@Order on WebSecurityConfigurers must be unique. Order of "
+ order + " was already used, so it cannot be used on "